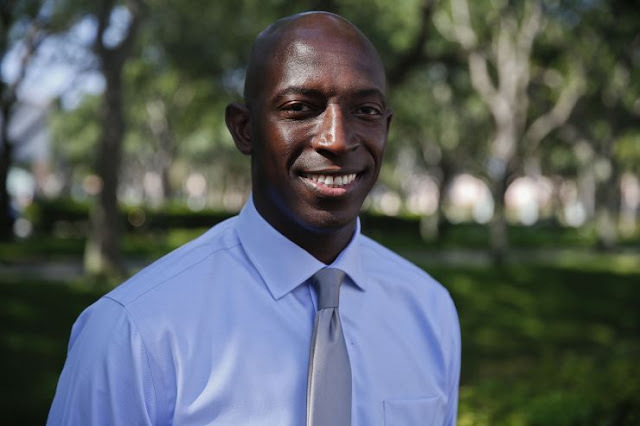 Its a pretty crowded field of Democrats running to be President of the United States, so you can be forgiven if you did not know that Wayne Messam, the mayor of Miramar, Florida announced on March 28, 2019 that he is running for the highest office in the land. The lack of urgency to plan for the future and take action on the crises we can see coming is the biggest threat facing our nation. As you read this note, the gun violence epidemic continues to take far too many lives, climate change damages more homes and devastates more communities each year, skyrocketing healthcare costs cut off many Americans from the possibility of their American Dream, and crippling student loan debt leaves people of all ages with little hope for the future. Washington is not working for the American people, and these big issues need fresh eyes and bold ideas from someone closer to the people, so our voice can be heard. Together, we can fundamentally change our country for the better and tackle these challenges with actions that match the scale and urgency of this moment. I do not believe that the best ideas come from Washington. Far too many of our friends and neighbors feel left behind and deserve someone in their corner who will fight for them. This moment requires leadership that will set us on a path to put the American Dream within reach for every single person in this country.